To be honest, I didn’t have high hopes for good food during my stay in Northern Ireland. My expectations were low based on a trip I had made to the Republic of Ireland many years ago. I recalled eating lots of potatoes, breads and bland stews, along with the proverbial Guinness to wash it all down. And though 2016 has been designated The Year of Food and Drink for Northern Ireland, I was frankly still leery about the culinary scene. Imagine my surprise then to discover a country that has become a great destination for foodies: a place that crafts, grows, breeds, catches, cooks and enjoys the finest, freshest food available. “Local” has become the buzzword, with themes from ‘plot to plate’ and ‘grown here not flown here’ celebrated. The excitement is palpable among everyone from producers and artisans to chefs and consumers. 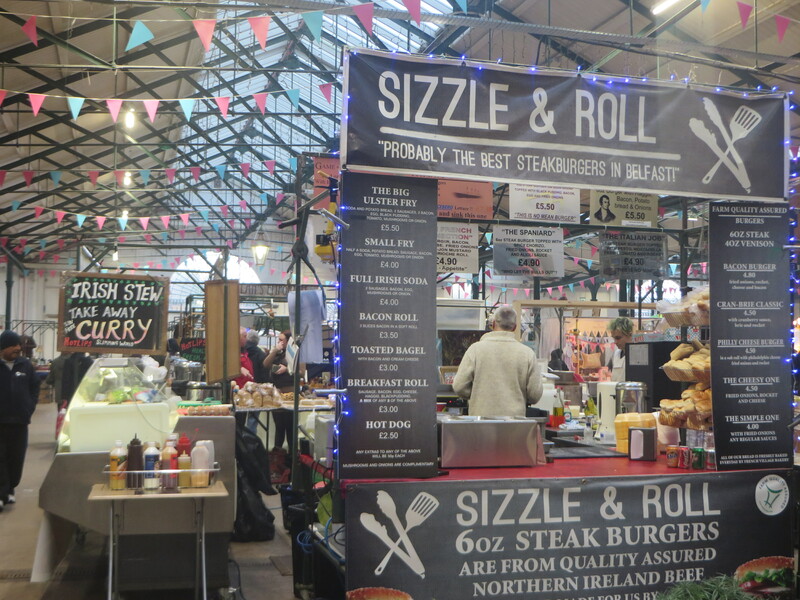 In Belfast, Northern Ireland’s capital city, check out St George’s Market, a historic landmark that is the site of a lively and colorful market selling the very best of local farm produce, dairy, seafood, baked goods and more. Then dive into the town’s vibrant restaurant scene, offering everything from fine dining establishments boasting globally-infused cuisine to ethnic eateries and classic Irish joints specializing in traditional Ulster fry breakfasts. 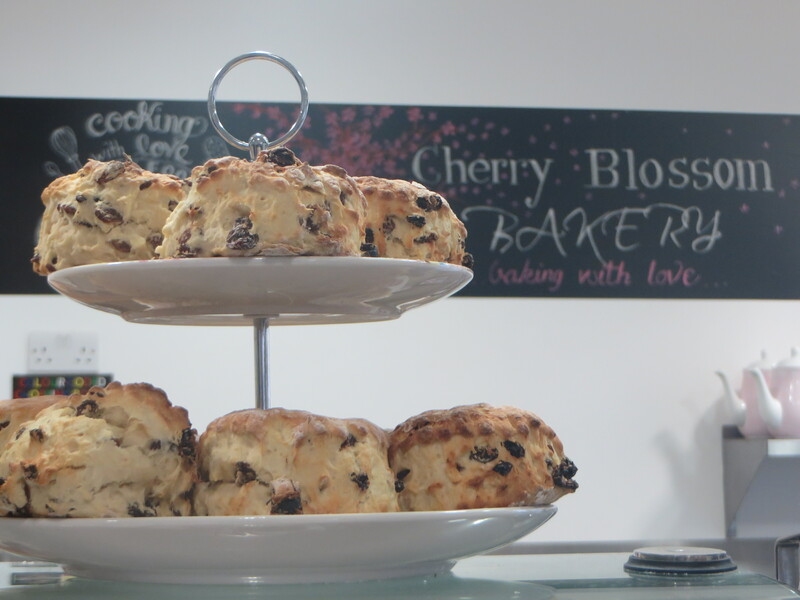 The café culture is also alive and well in Belfast, with local artisan roasters, independent coffee shops and top-class baristas that ensure you’ll always be able to get a great handcrafted coffee or a boutique loose leaf blended tea. And when it comes to enjoying libations of an alcoholic nature, the country’s pubs are hard to beat. Walk into any Irish pub and immediately you’ll feel at home. The convivial atmosphere combined with the often energetic, live music will have you doing the Irish two-step with a host of new friends before you know it. Ox is one of two establishments in the city that recently received the coveted Michelin Star designation. Dinner at this restaurant is a sensory experience that defies description. Chef owner Stephen Toman is a magician in the kitchen, who uses imagination and creativity to bring fresh ingredients to life on your plate. Due to the close relationships he has with local suppliers, menus are designed around the finest seasonal produce. The best approach is to opt for the tasting menu so you can sample a variety of dishes–and make sure to add the paired wines to enhance your meal. When I finished my last bite of dessert, a heavenly concoction of Jerusalem artichoke, banana, caramel and pistachio, I literally swooned in a food-driven ecstasy. The Mitre is another top-rated restaurant in Belfast. Tucked inside Culloden Estate & Spa, one of the country’s most prestigious hotels, you’ll find this gem of an establishment. Surrounded by beautiful secluded gardens and woodland, with a killer coastal view, the Culloden is as beautiful on the outside as it is inside. Originally built as an official palace for the Bishops of Down, the place has an air of elegance, with fine antiques that evoke a Gothic grandeur. Let the talented Chef Brian Donaldson introduce you to his gourmet chic culinary scene via a seven-course tasting menu that emphasizes carefully selected local and seasonal quality foods. 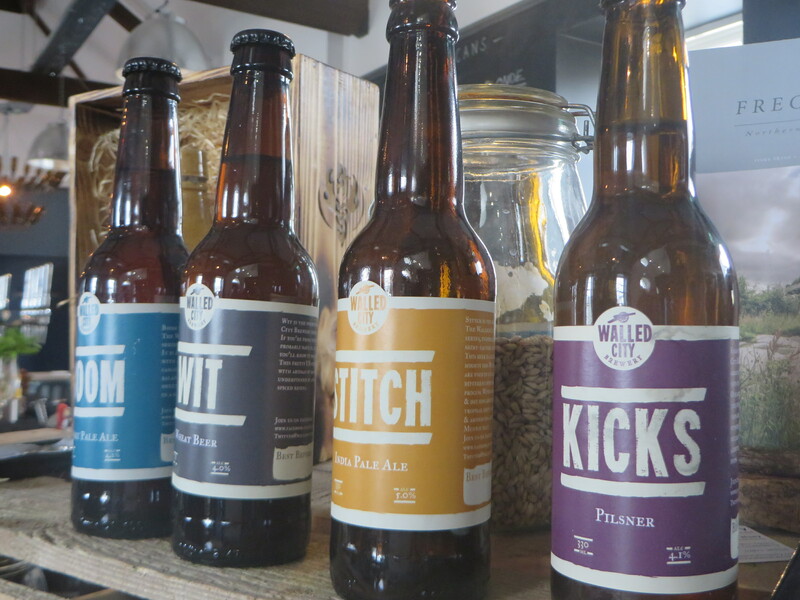 His focus is on infusing Irish staples with French and Scandinavian influences. Everything is presented with an eye towards aesthetics, such as a palate cleanser of elderflower sorbet with candied beetroot spectacularly arranged within a toppled wine glass. 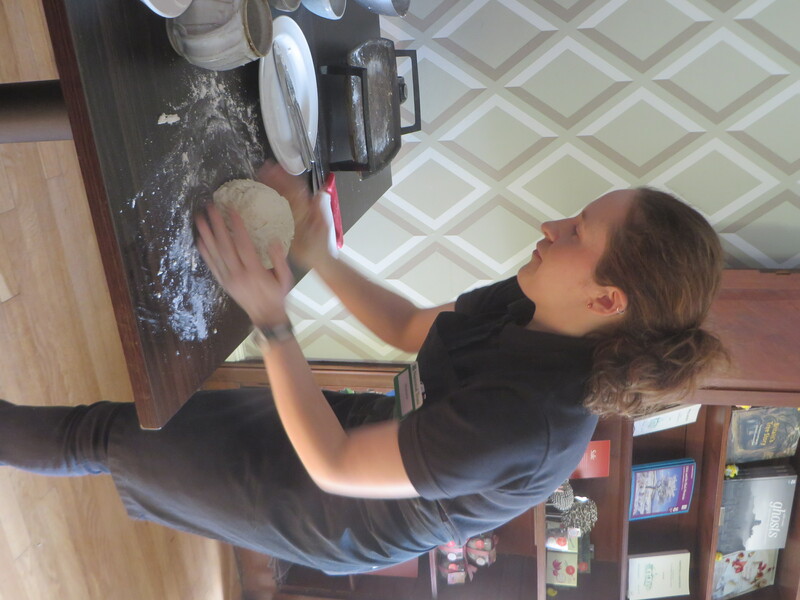 For an authentic food journey, sign on for an NI Food Tour with the owner and guide Tracey Jeffrey. She’ll take you around County Down, an area with the highest concentration of award-winning producers and restaurants in the country. The region has become a must-visit destination for foodies and for those who just love good food. 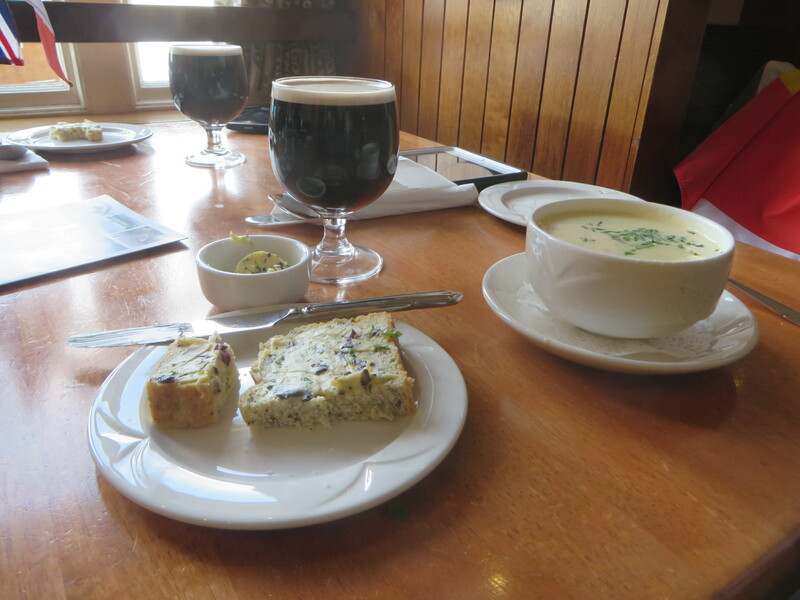 On your tour, you’ll hear stories from local farmers and other producers while tasting their products, such as craft beers, local breads, scones, meats, potatoes, cheeses, butter, shellfish, chocolates and more. 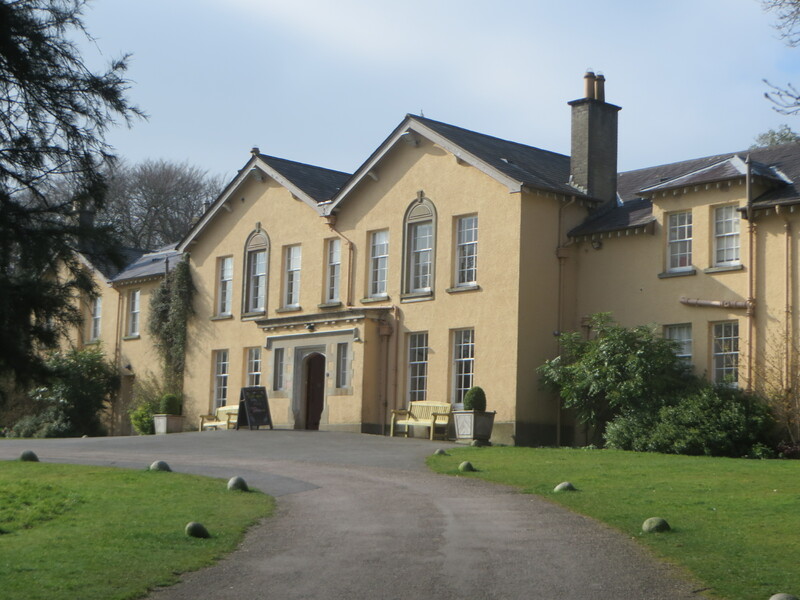 At Rowallane Garden, for example, where they sell food made on site using products grown on the property, you can watch a demonstration of how to make Irish soda bread, a staple that goes back centuries. I discovered that the key to knowing when the loaf is cooked in the middle is if it sounds hollow when you tap it. 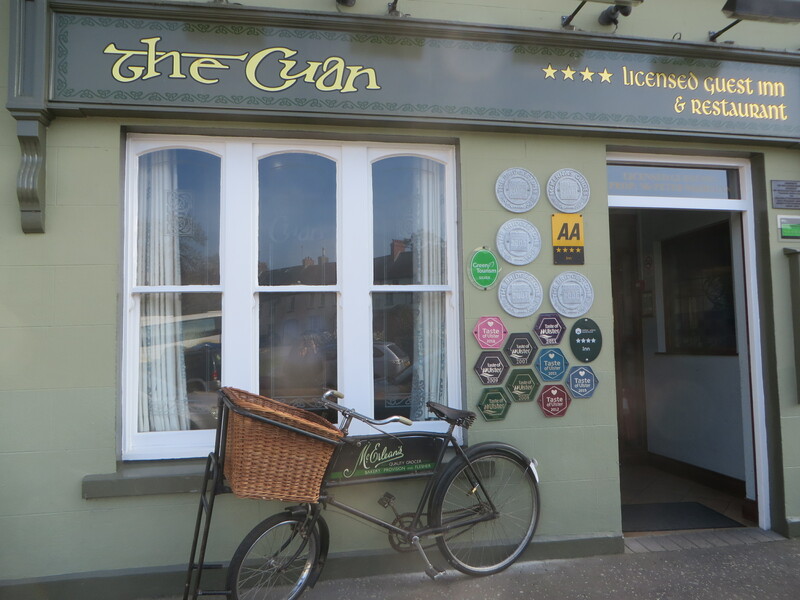 For other Irish local specialties, you might stop in the picturesque village of Strangford, at the Cuan, for its renowned seafood chowder, made with fresh haddock, cod, mussels and prawns. A highlight of the tour is meeting Patrice Bonnargent, an oyster and mussel farmer in Killough who came from France to play rugby years ago and ended up staying in Ireland to grow oysters and mussels. 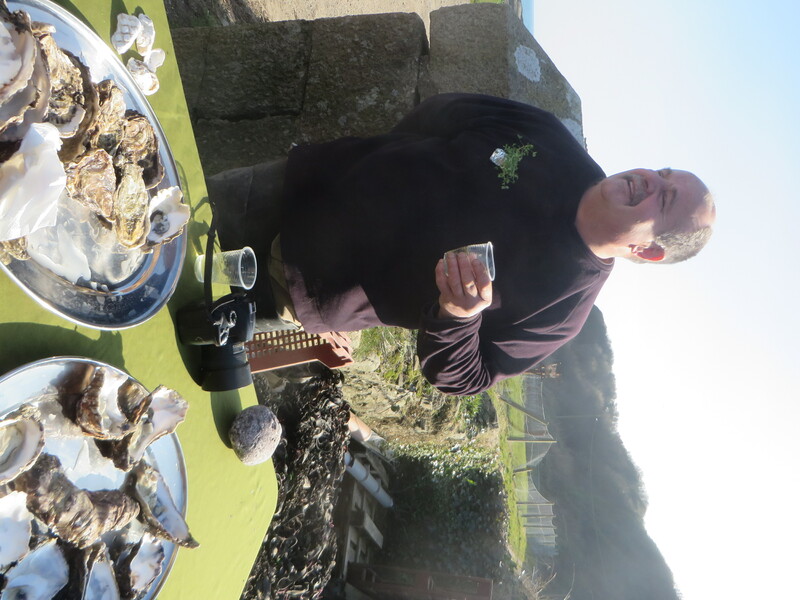 After seeing Patrice’s farm, out tour group sampled his fleshy, meaty oysters with shallots and lemon, accompanied by a glass of crisp white wine. The tour ended in the sleepy hamlet of Chapeltown at Curran’s Bar & Seafood Steakhouse, one of the oldest pubs in the area. A welcoming fire and jovial wait staff greeted our group, and we proceeded to chow down on hearty Irish stew and champ, a typical Irish mashed potato dish, while listening to several local musicians make merry for St. Pat’s Day. 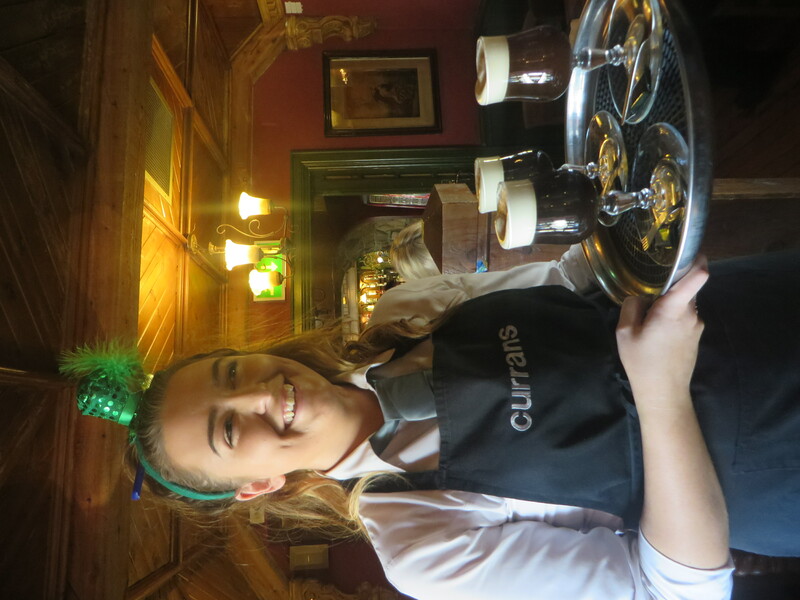 Often voted “Pub of the Year,” Curran’s is a magnet for locals and tourists alike, who enjoy the live entertainment, good food, drink and great craic, or conversation. You’ll find that food also takes center stage in Derry, home of the LegenDerry Food Fair, an annual event held in March. It’s a two-day festival showcasing the wealth and range of local food in Northern Ireland, and a celebration of everything that makes produce from this place so delicious, from Abernethy butter and Braemar Farm ice cream to Broighter Gold rapeseed oil and Kennedy Bacon. 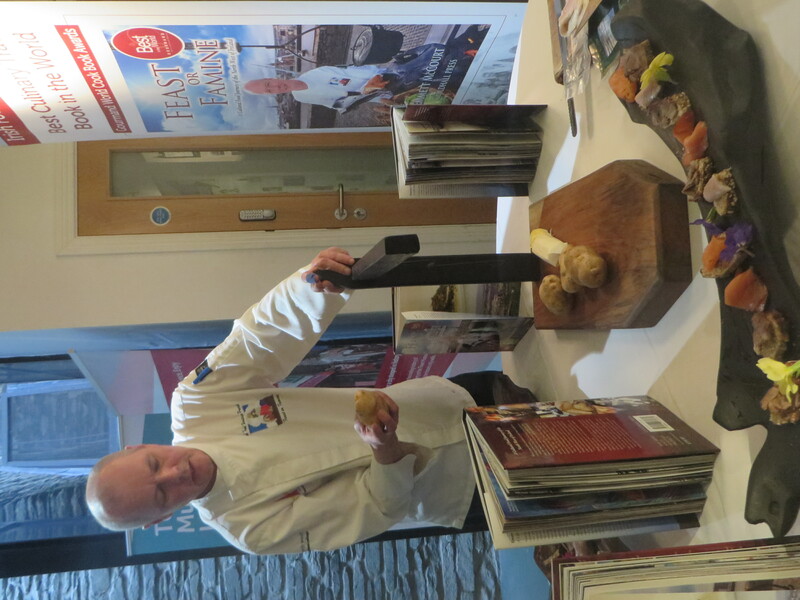 Dozens of restaurants showcase some of their signature dishes and noted Derry chefs perform cooking demonstrations during the fair. To help orient you to the food scene around town, take a bike tour with Far and Wild. 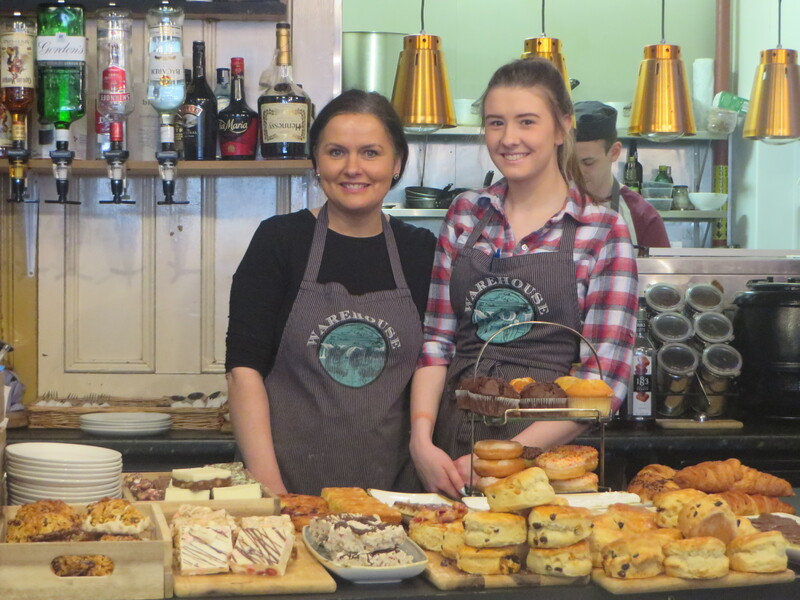 Go on an empty stomach, as you’ll be plied with such specialties as homemade sausage rolls and traditional Irish scones at Cherry Blossom Bakery, Leek and Cream Cappuccino at the Legenderry Warehouse Café and a variety of Pintxos or tapas at the newly opened Walled City Brewery, which also brews its own craft beers with quirky names like Kicks, Boom and Wit. When you’ve indulged and imbibed to your heart’s or rather your stomach’s content, know that there’s no dearth of sights to explore in Northern Ireland. The country is rich in history and culture, with museums a plenty, and grand estates with hidden walled gardens just waiting to be discovered. And of course, there’s the breathtaking Irish coastline and the ever-so-green, bucolic countryside, which no one can resist. 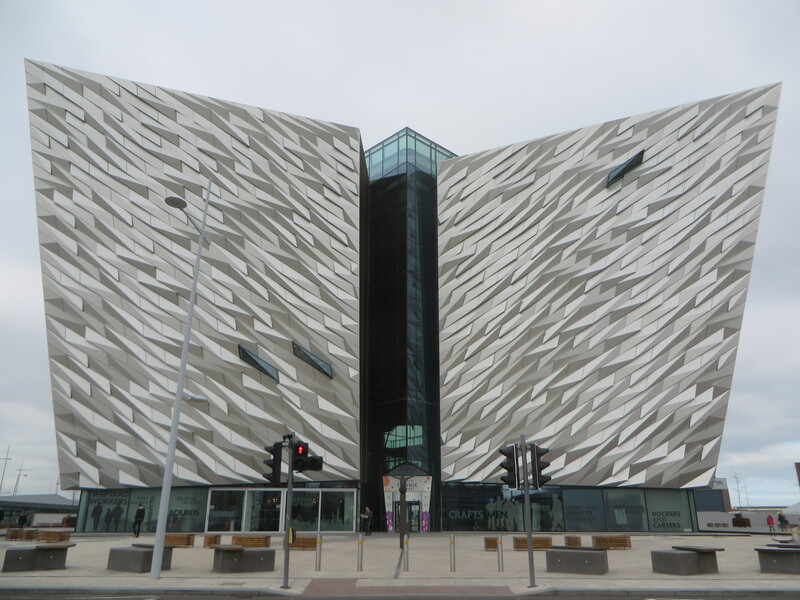 In Belfast, you’ll want to head to the Titanic Quarter to uncover the true legend of Titanic in the city where it all began. There you’ll find Titanic Belfast, the world’s largest Titanic visitor experience, which is housed in an iconic six-floor building. Its state-of-the-art nine interpretive and interactive galleries bring the history of this famed ship, as well as the city and people who made her, to life in an unforgettable way. Nearby, there’s the SS Nomadic Belfast & Hamilton Dock where the SS Nomadic rests. The old tender ship, originally built in 1911, served the Titanic on her maiden voyage carrying first and second class passengers. It’s the last remaining ship of the White Star line. To learn even more about Belfast’s shipbuilding legacy, visit Titanic’s Dock & Pump-House, and then make a stop at the Titanic Memorial Garden, which is sited in the grounds of Belfast City Hall. Inscribed in stone are the names of the 1,512 people who perished on the ship 104 years ago. The Ulster Museum is also of great interest to visitors for its collection of art, history and natural sciences, which tells the story of the people of the north of Ireland from earliest times to the present day. Combine this with a tour of the many political murals which dot the city and depict the region’s past and current political and religious divisions. They have become important symbols of Northern Ireland and are of great interest to visitors. Themes range from overtly political declarations and graphic depictions of the age-old conflict to comments on peace and the peace process. In Irish Republican areas, events such as the 1981 Irish hunger strike, the Ballymurphy Massacre and McGurk’s Bar bombing are commemorated. 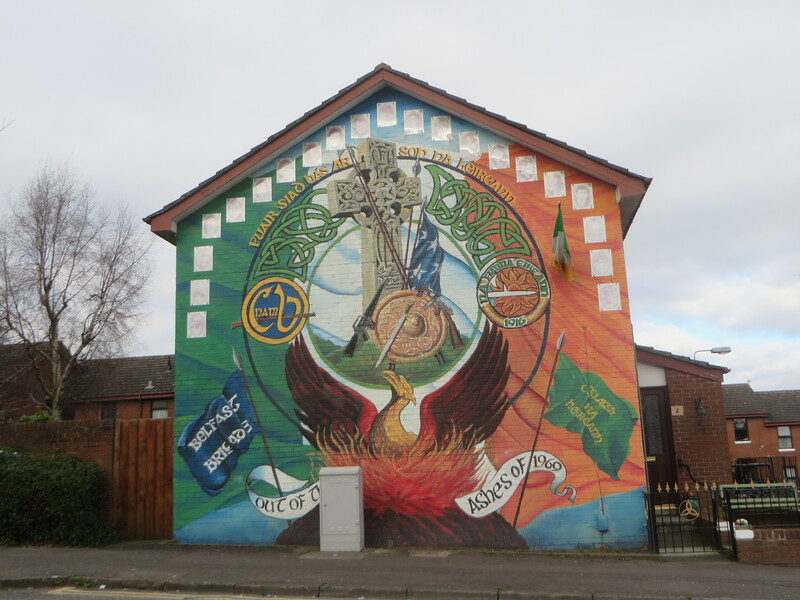 In working class Unionist communities, several of the murals promote Ulster loyalist paramilitary groups, as well as commemorate their deceased members. It’s impossible not to notice the walls that have been erected over the years across Belfast as a means of defusing sectarian tension. There are nearly 100 of them, dividing nationalist Catholic neighborhoods from loyalist Protestant ones. Many have colorful murals, pictures and graffiti with varying messages scrolled on them. Today, ‘peace gates’ are being opened in some of the walls in an attempt to foster greater links between communities, and the plan is to eventually tear down all of these structures in the next decade. Outside of Belfast, the countryside reigns with some of Northern Ireland’s oldest and most beautiful estates. Glenarm Castle and Walled Garden ranks up there as one of the finest. Though the castle is only occasionally open to the public due to the fact that it is an occupied residence, the Walled Garden welcomes visitors daily from April until September. It’s a horticultural spectacle in an incomparable setting by the sea with water features, fruit and vegetable gardens, imaginative herbaceous borders and displays of flowers that burst with color. Climb the mount for a view of the castle, the sea and the estate beyond. Then relax and enjoy a snack or light lunch featuring the estate’s own produce in the charming tea room, overlooking the kitchen garden. For picturesque photo moments, drive the Causeway Coastal Route on up to Derry, Northern Ireland’s second largest city. 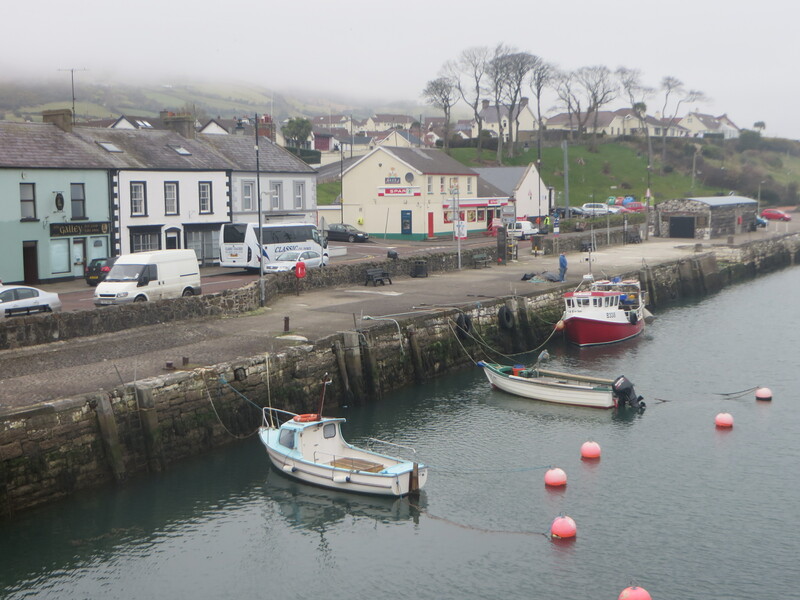 And if there’s mist, even better, as it’ll add a bit of Irish magic and mystery to the scene. 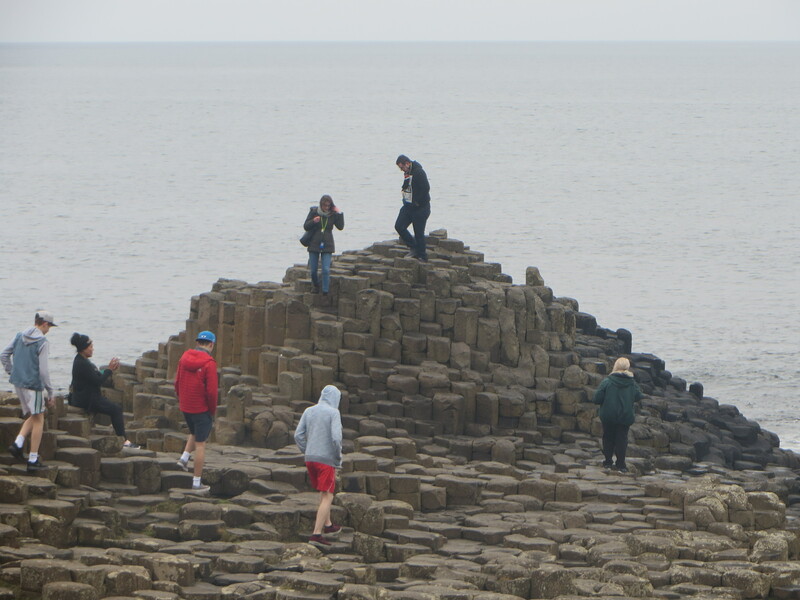 This is most apparent at the Giant’s Causeway, a geological wonder that is also a UNESCO World Heritage Site. It’s an awe-inducing marvel containing over 40,000 interlocking basalt columns, which were created as a result of intense volcanic and geological activity. For visitors, it provides a glimpse into the Earth’s most ancient past; an epic sixty million year-old legacy to the cooling and shrinking of successive lava flows. This is a place that’s also steeped in myth and legend, with stories of a mighty giant, Finn McCool, who left behind an ancient home full of folklore. 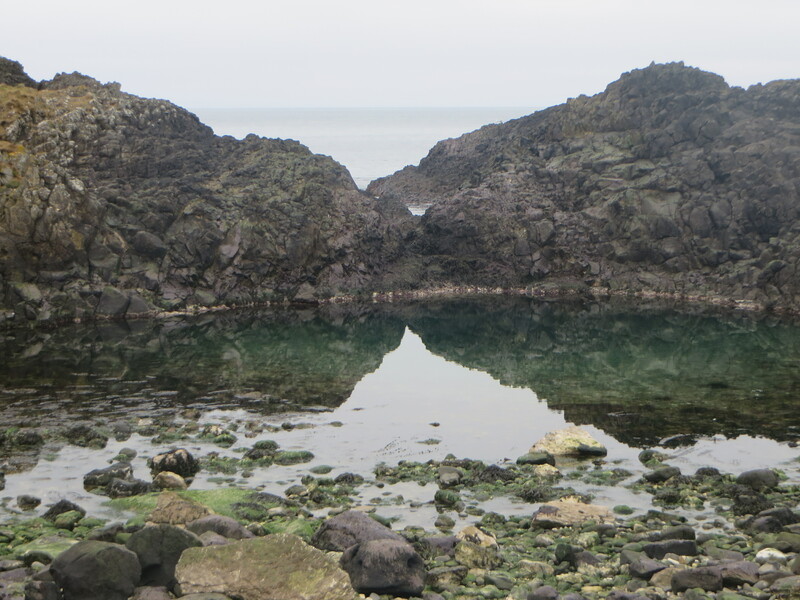 Local folks believe that between the hexagons, the mythical features carved out in the rocks and the sea, there’s real magic. They say that you may not always see it right away, but stand on the stones, use your imagination and just wait. It won’t be long until you feel it. 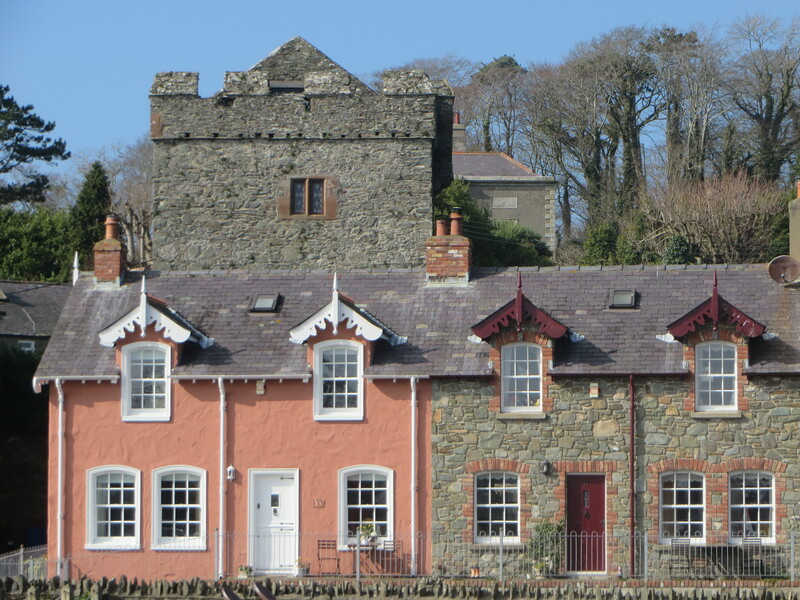 Upon reaching Derry or Londonderry, you’ll be in the oldest intact walled city in all of Ireland. You’ll also be in a town that’s been the subject of a naming dispute between Irish nationalists and unionists. Generally, although not always, the former favor using Derry, and the latter prefer Londonderry. Legally, the city and county are called “Londonderry,” while the local government district containing the city is referred to as “Derry.” You’ll learn that there are also other names for this place, such as Cathedral City, Walled City, Maiden City, LegenDerry and my favorite, Stroke City (Derry/Londonderry). Begin your exploration of the city with a visit to the Tower Museum, which tells the town’s colorful and dramatic history from past to present. 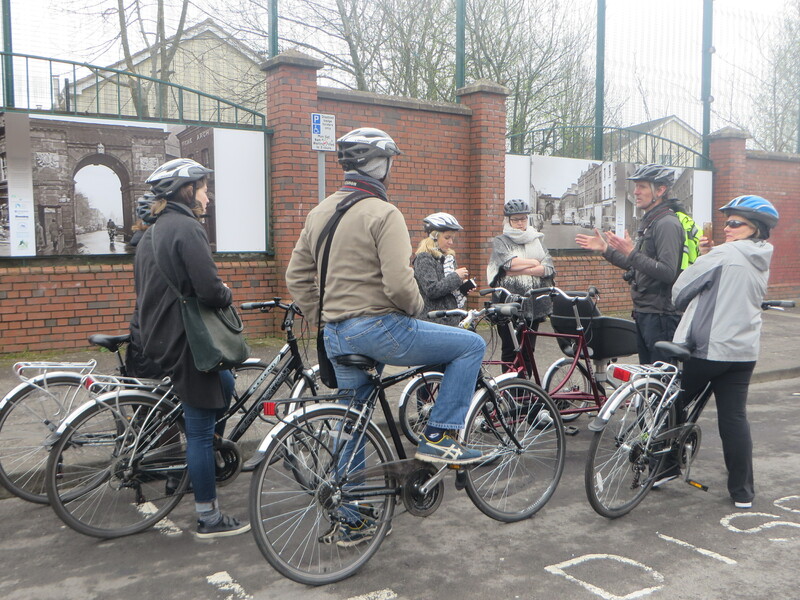 Follow it up by joining one of Martin McCrossan’s City Tours to view the historic walls from along the rampart walkway and at ground level. Measuring almost one mile around, the walls date back to the early 1600s when they were first constructed to protect the English and Scots settlers of the new town that was established here as part of the Plantation of Ulster. As you stroll, you’ll learn the names and significance of the various bastions and gates, as well as get a glimpse of famed St. Columb’s Cathedral. Like Belfast, Derry was also the scene of political strife for many years, and it, too, has murals depicting the issues and events of the times, including the infamous Bloody Sunday. Murals cover the buildings within the Bogside (Irish Republican section) and throughout the Loyalist-occupied areas of town. 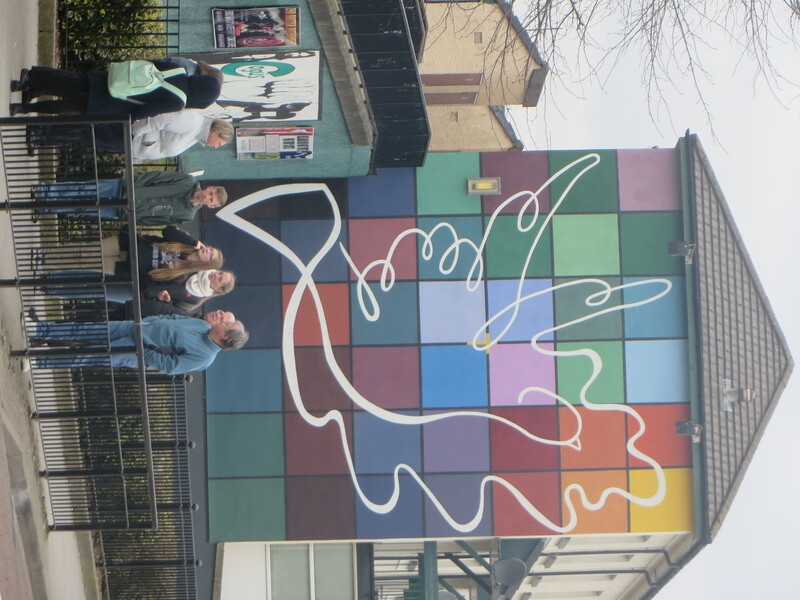 Of note is the Peace Mural, found on the Bogside, which represents the peace process and negotiations that have helped bring an end to the terrible violence of the past. Walking and taxi tours are available for those interested in learning more about this turbulent history and its effects on the populace. Derry’s Craft Village is a well-known mecca for visitors and locals alike and has often been described as a hidden jewel in the city’s crown. This cultural oasis is an eclectic mix of artisan craft shops, charming cafes and balconied apartments. Dickensian in appearance, with a thatched cottage to boot, it encapsulates a sense of times gone by. The place also serves as a venue for concerts, weddings, conferences and crafts workshops. If you’re a “Game of Thrones” fan or a “thronie,” you’ll be in good company in Northern Ireland, as there are multitudes of visitors coming from all over the world to indulge their fascination with this popular show. There are numerous sites sprinkled throughout the area that have been used to film the award-winning series. 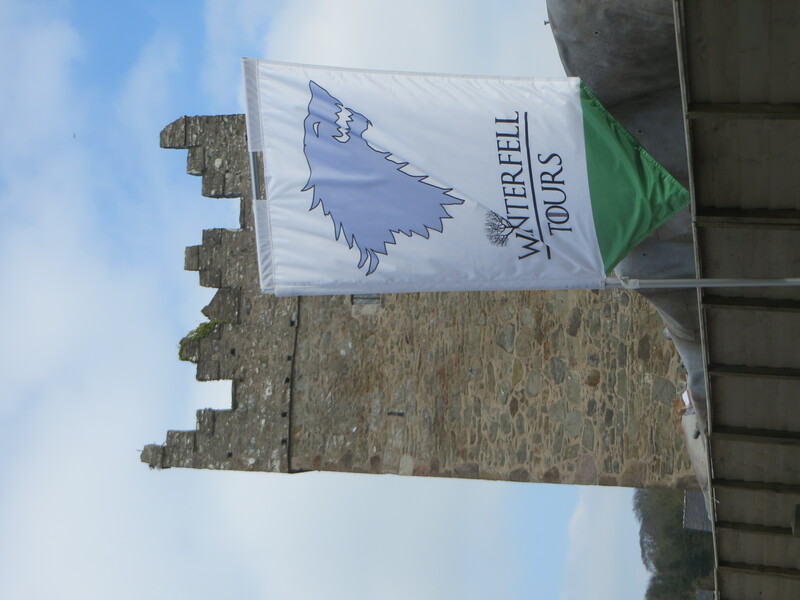 You can follow in the footsteps of the stars and plot a path through the dramatic scenery, taking you to where some of the pivotal scenes were shot, including Winterfell, Robb Stark’s Camp, the Haunted Forest and Inch Abbey. Though the sites are easily accessible for those who wish to explore on their own, there are also several different tour companies which offer various “Game of Thrones” experiences. PreviousPark City: The Premiere Winter Destination in the U.S.